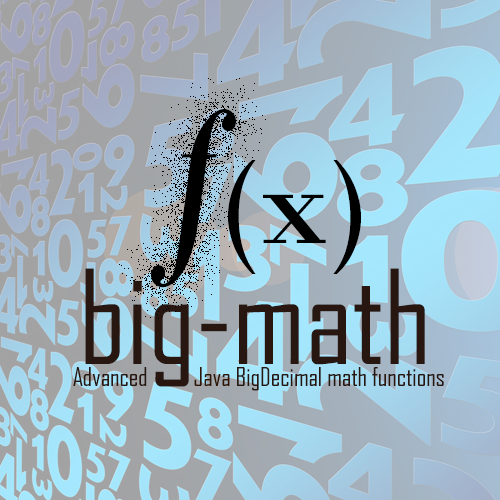 Advanced Java BigDecimal math functions (pow, sqrt, log, sin, ...) using arbitrary precision. big-math is maintained by eobermuhlner. This page was generated by GitHub Pages.